Which Athletes Benefit From Acupuncture? Acupuncture can be beneficial for those practicing bodybuilding and for any other athletes who are training in competitive sports, aerobics, martial arts, outdoor training, or any strenuous activity as it enhances performance and gives the athlete a competitive edge. Competition is not just about physical strength or endurance; it is also about psychological confidence, which can significantly affect performance skills. Acupuncture can enhance the ability to stay focused, lower anxiety, and jump psychological obstacles which stand in their way. 1. Acupuncture Helps The Body To Heal Itself From Injury While Reducing Pain At The Same Time: For anyone who is physically active, an injury may occur, either acutely or chronically, over time. Statistics show that adults suffer more than one million sports-related traumas annually. Injuries may include fractures, muscle strains, strained ligaments, tendons or joints, shin splints along a variety of other strains. Typically, the back, shoulders, elbows, knees, and feet are most affected during a sports related injury. Arthritis is a chronic condition which can be a result of a sports-related injury, manifesting over a long-period of time. While massage therapy relaxes muscles and tendons, acupuncture supports and reinforces the whole body to heal itself. Acupuncture reduces the pain and speeds healing in addition to strengthening the body by reducing swelling or spasms, improving blood circulation, and stimulating natural endorphins and anti-inflammatory hormones in the body. 2. 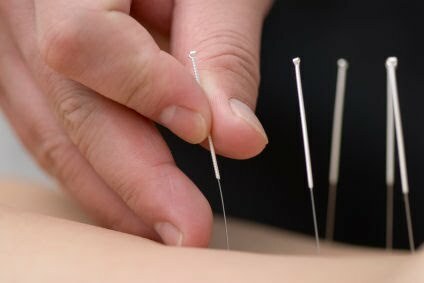 Acupuncture Enhances Performance By Cleansing The Body Organs: Acupuncture can also cleanse the body organs, which may hold unnecessary toxins, tension and stress. Qi, live-giving energy that flows to every cell, tissue, muscle, and organ in your body through 14 main meridian pathways, can become stagnated. Acupuncture can attract or repel this energy, re-establishing a balanced flow of energy throughout the whole body. It is clear that acupuncture can improve performance, boost confidence, cleanse the body of toxins, and provide support during times of injury. So, as you head out to the gym or prepare for that marathon, drink lots of water, stretch, and consider acupuncture as part of your health regimen.